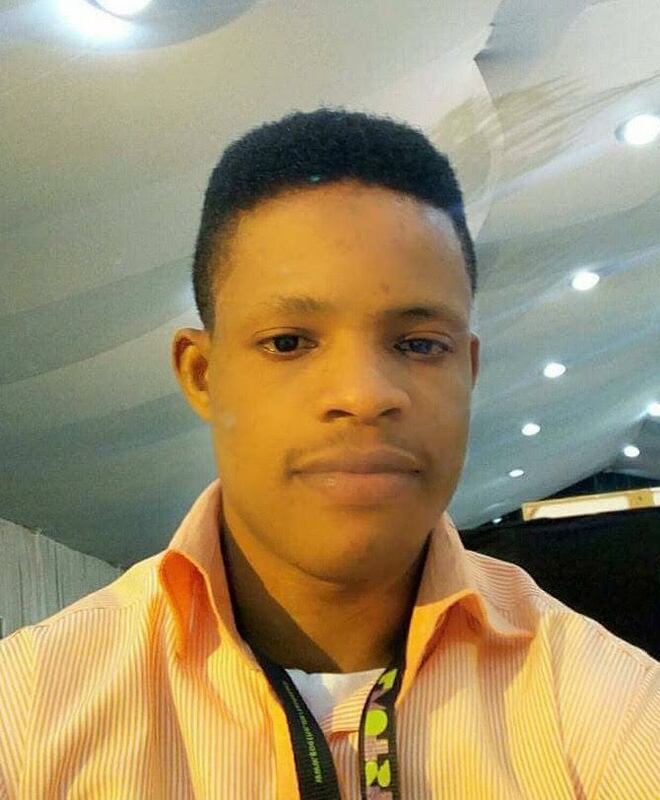 Richard Opara, founder of Rivic Infotech is an agronomy graduate from the University of Ibadan. He, however, had to veer off from agronomy to follow a career in computer engineer. He has over 15 years of experience at the popular Computer Village market in Ikeja, Lagos. Richard has an office space where computing repairs are done. He also imports computers and accessories from the U.K., US, and South Africa. He is an active member of Association of Computer Engineers and Technicians of Nigeria. He spoke with Justice Godfrey Okamgba on the state of the market, computer engineering, challenges and latest updates in the market. We have heard a lot about Computer Village, can you give us an overview of what happens in this market. Is it just about smartphones and computer? Computer village is prob- ably the largest technology accessory market in West Africa. So many things happen here because there are different segment of goods and services. We have dealers, importers, technicians and engineers who deal on solar, smartphones, security gadgets, computers, and accessories, etc. Millions of Nigerians converge on the market to buy, sell or render one particular service or the other. In fact, we have foreigners like Chinese engineers in the market who left their country to repair computers, laptops and gadgets here. It is a big market that accommodates different players. Has the proliferation of smart- phones in anyway affected the sales of laptops? Absolutely no. Even with the proliferation of smartphones, you cannot overrule the demand for laptops in Nigeria. A lot of people still prefer to use laptop to tablets or smartphones. Right from the beginning the demand for laptops has been on a high side because it’s widely used. And the kind of job you do determines if you are going to use smartphone or laptop. For instance, if you are an engineer, artiste, etc. you need a laptop because a smartphone cannot be used to do those kinds of jobs. This is when you start talking the grades or categories of the laptop you intend to buy, because some laptops are stronger than others. In fact there is Mac computer I intend to buy soon and the cost is about N750, 000. This is just for one computer. The prices are usually dependent on the functions, quality and durability of the laptop. Till date, people still prefer to use laptop and we sell laptops everyday especially fairly used (tokunbos). Students are trooping into computer village to get laptops. Even parents are buying laptops for their children either for study purposes or for them to get ac- quainted with technology. It is also important to note that the prices of laptops are determined by the qual- ity and brand of the laptop. But you can get a laptop for office use for as cheap as N30, 000 (tokunbo) that will serve you. How does the computer village market run and who oversees the affairs of the market? for me practically did nothing for us. They were just being egocentric without serving the people. For them, it was all about money. But things are changing with the current executives. So, what will you say are some of the improvements experienced in the market following the assumption of a new CAPDAN president? The administration of Ahmed Ojikutu, president, CAPDAN, has brought about glaring changes in the market. We collectively voted for him because we had that trust in him that he was going to deliver. In terms of security, electricity and connection with the government, we have seen improvements in those areas. Before now, the market recorded a series of burglaries as many shops were broken into on a daily basis. Ever since he came onboard all that has reduced. Another key area is the partnership with the Lagos State Government; the CAPDAN president now meets with Akinwumin Ambode, Lagos State governor to discuss issues concerning the market. It wasn’t like that before now; it was as though the government was far away from us. In terms of access to loans, which remains one of the biggest challenges for businesses in the market, the Lagos State Government has been able to put up an incentive to enable us get loans. However, the conditions are too stringent and I felt discouraged to apply for the loans. Some people were able to get loans, some N3 million, N4 and 5 million. Lagos State has really helped the market especially in that regard through the president. And this is something that has never happened in the past. Finally, electricity has improved, if there is any issue with the transformer, it doesn’t take ages before it’s fixed. I am convinced that a lot of positive things are in the pipeline waiting to unfold. How are engineers and technicians in the market upgrading and meeting up with the ever evolving technology in the area of fixing computers? We have had several trainings for free. It is usually driven by CAPDAN in partnership with some NGOs (non-government organizations). Although, they are usually theoretical, there is a bit of practical, especially where it requires demonstration. Aside from that, personally, I try to improve myself, learn new skills by watching videos and reading up stuffs online. The way we fix some of these laptops in the past is different from the way we do it now. Everyday, there are new innovations and technologies that emerge. Today, there are some machines that we use to work more effectively and faster. When a client brings his or her laptop, several tests would have to be run before the problem is detected. We waste time doing all that but now the problem can be easily spot- ted without going through all those rigorous processes. and fix things unlike in those days. Today, you would have to pieces the entire laptop to get to the hard drive and that could lead to damage in the process. We pay lockup fees to the local government. The fees vary and usually dependent on the size of a shop. However, the minimum is usually N5,000. The local government officials come around to collect the money and failure to pay usually results to shops being locked up. But it is more coordinated now, they no longer need to visit all the shops to collect the fees. The president had liaised with the local government for us to pay a particular fee. CAPDAN shares the fee and we pay to them, after which they remit to the local government. The fee is not as exorbitant as before. We also pay an annual fee to the CAPDAN, the fee is also dependent on the size of a shop. You sound as if everything is perfect. Does it mean there are no challenges that you are facing? There is the challenge of accessing loans despite the moves by CAPDAN in collaboration with the Lagos State Government to make loans available. If we have access to loan, importation wouldn’t be a problem for us. It’s something that we would be doing in a large scale. The demand for computer and its accessories are huge and the money required to shop for those things are also huge. That is why we need loans. But, I am quite optimistic that things are going to fall in place with time. Similarly, the ongoing plans for us to move to Katankowa, near Egbeda, from Ikeja usually make us panic. That is a plan that everybody in computer village wouldn’t want to hear. Ikeja is central; you can link to other areas in Lagos. There is a large portion of land set aside for this project. The idea is for us to move to a bigger location before the end of this year but I am not sure if that would be possible. Is computer engineering a job that you need to acquire a university or polytechnic education before you can do it? If you need to aspire higher you need to get educated. If someone has the privilege of going to a higher institution, it would be fine. However, there are still training institutions here where someone can learn the fundamentals both in theory and practice for a few months. It is all about continuous development, even if the person attends the university. These training institute do not cost so much money. I have a friend that runs one here, you only need to pay N40,000 for three months. The trainee is taught the theory and practical aspect of computer engineering.